Haruhiro awakens in an unfamiliar world with no recollection of his past life. He can't even begin to consider properly how he got here, but is immediately forced to fight for his own survival in order to earn money for basic necessities. The life of a volunteer soldier isn't easy, and together with other new soldiers Haruhiro quickly learns the stark reality of surviving in this fantasy world. Haruhiro doesn't know how he arrived in this world called Grimgar, and he also doesn't know where he came from. All he remembers is waking up inside a dark tower with a dozen or so others and being escorted to the frontier town of Alterna. There, he and the others were left with no choice but to enlist as trainee volunteer soldiers to fight on the edge of the human empire. Although Haruhiro is able to join the Thieves' Guild and gain basic abilities, he is leftover with a few others to fend for himself. Faced with little choice but to fight or starve, he and the other people not part of a group, including the priest Manato, dread knight Ranta, hunter Yume, mage Shihoru, and the warrior Moguzo, form their own party. Thus, Haruhiro begins his daily life in this new world. 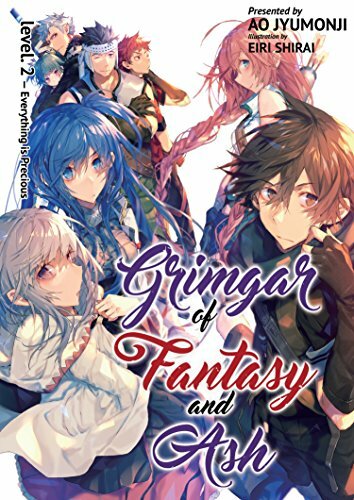 Grimgar of Fantasy and Ash follows Haruhiro, a new trainee volunteer soldier, and the other members of his party as they try to survive the daily life of their new world. Much like other series, Grimgar's world takes after our world's MMORPG video games. In this basic sense, Grimgar is like similarly styled books such as Log Horizon and Sword Art Online. From the setup, the main difference is that none of the people dropped in the world have any memories of their past lives. However, Grimgar really differentiates itself in two ways: its world design/subsequent world building, and the way it artfully explores how its characters navigate their daily lives in such a place. In both of these areas, I felt that it was wildly successful, and through these developments a very unique and intriguing take on the fantasy world genre is created. The world of Grimgar is themed after MMORPGs, and features many aspects you might expect from that: magic, classes, guilds, parties, dungeons, etc. However, despite all of this, Grimgar tends towards a realistic approach within these parameters. As an example, if you were to play an online game and want to learn new spells, you would likely need to level up and then pay a trainer for your class in order to gain the new ability. In the game, you would be utilizing a user interface to navigate tasks such as looting bodies, checking your progress towards the next level, and buying new abilities. Grimgar takes this process and attempts to show what it would be like if a world such as this existed outside of a video game. When Haruhiro has improved his skills through his daily battles and has saved enough money, he goes to a master from his guild to pay to train in a new ability. However, even after his initial training in this new ability, Haruhiro has to improve his usage of it by experimenting with it in battle. This feels like a plausible way that one might learn new skills even in real life. It's nuanced details like these that make Grimgar's take on video game experiences feel real, which was a primary appeal of the series for me. If I had to describe Grimgar in one word, it would be patient. Grimgar takes its time with just about everything as it traces Haruhiro and company's progression over time. But while this often makes other series feel slow and dull, Grimgar leverages this pacing to its advantage to actually build tension effectively. Haruhiro's party struggles with even basic enemies early on, and the group struggles to make enough money to even buy the cheapest food and lodgings at first. This isn't something that goes away quickly; it takes everyone quite a while to get to the point where they can move beyond the concerns of these basic necessities. There's tension in the slightly desperate situation of depending so heavily on such a small income day-to-day. This also creates extra tension in battles before they even begin because of how the outcomes of even minor encounters are so important. Along with this though also comes an incredibly satisfying payoff when the group does manage to accomplish things, even though they aren't as gargantuan as the enormous bosses you might see in Sword Art Online. The biggest reason that battles feel really satisfying, however, is because of the narrative detail author Ao Jyumonji uses during fighting sequences. Haruhiro's inner thoughts and commentary on the fight are punctuated by surprisingly visceral action sequences and detailed yet straight forward explanations of how the characters react as the battle progresses. There aren't information dumps, but over the course of the book readers get a very strong feel for how the characters utilize their abilities and react in fights. The roles of different classes in combat and how the characters choose to interpret those roles varies from person to person, even if they belong to the same class. Equally important however is the way that the book explores the inherent danger of a life-or-death conflict. In his first fight with a goblin, Haruhiro observes that the goblin desperately wants to live, much like Haruhiro himself does, and that both sides are fighting desperately for survival. Enemies don't just die; they painfully struggle up until the end, and killing blows feel suitably brutal and gruesome. This doesn't change as the characters grow used to the encounters. Each fight is different, and every fight has the very real possibility of death, something Grimgar does not let you forget. What really makes the battles and daily progression resonate is the characters themselves. Haruhiro is not a particularly self-confident person, and despite his keen abilities to understand how others feel he is not always able to act on his intuition as much as he would like. In other words, in more ways than one Haruhiro's class, Thief, is a reflection of his personality. Thieves utilize daggers and self-concealment to nimbly move and incapacitate their enemies on the battlefield, and Haruhiro spends the entire book growing into this role. There's constant progression as he grows as both a thief and a person. Every member of the party is explored in a similar fashion, from the strong self-conscious priest Manato to the aggressive and energetic dread knight Ranta. The cast grows through interactions with each other as well. As a party that fights together every day and sleeps together every night, there is naturally quite a bit of interaction as teamwork is a necessity. This comes in many forms. On one hand, there are Ranta's numerous boasts/generally aggressively boisterous behavior and everyone's reactions to it. On the other hand, there are the moments Haruhiro spends observing Manato's leadership and striving to be someone Manato can rely on as well. There is quite a bit of nuanced development to be gleaned from these interactions, and they make the characters feel more well-rounded. While the big picture conflict seems to be only hinted at in the first volume, the world development of Grimgar is elaborate and interesting. The more directly relevant elements to Haruhiro and company's struggle such as classes, parties, and combat are thoroughly explored throughout the book. However, more broad conflicts are definitely present. 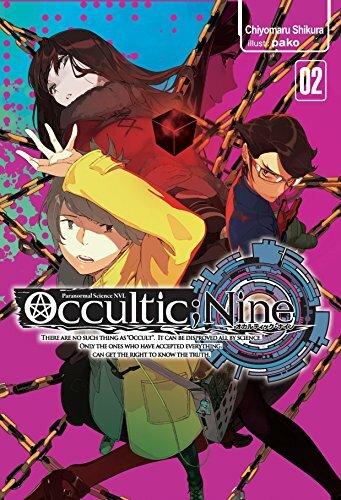 Guilds of more powerful players are involved in more large-scale conflicts, and Haruhiro's interactions with some of the more advanced volunteer soldiers around town reveal a very dark world where evil forces far beyond Haruhiro's current capabilites lurk in the shadows. Although the early focus on merely surviving is tense, Grimgar makes it clear that there is a quite a bit to come in the future. 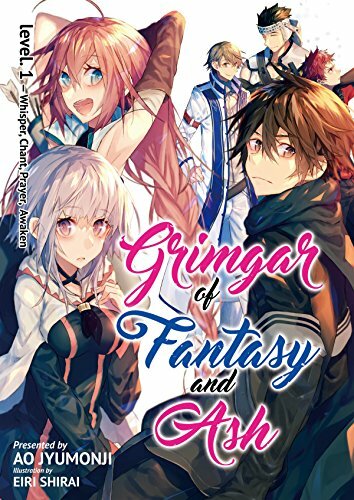 Grimgar of Fantasy and Ash is one of my favorite light novels I've read and certainly my favorite that I've reviewed. 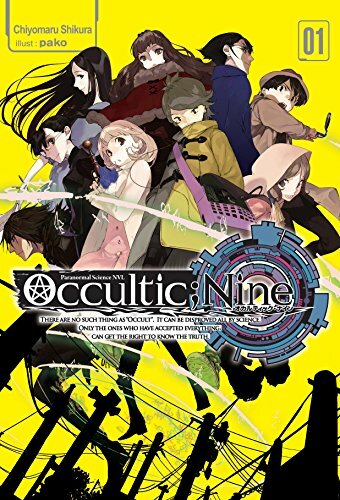 Its nuanced and realistic portrayal of a video game-influenced fantasy world is engaging and surprisingly intense despite the low abilities of the characters it follows early on. Exploring Haruhiro and his friends through their battles and interactions is a rewarding experience and makes the fights, which are already action-packed, even more tense and entertaining. Grimgar is an easy recommendation for fans of fantasy stories, but it's also a great recommendation for those displeased with the less detailed or life-like portrayals of similarly styled worlds in other series within the genre. Grimgar of Fantasy and Ash is written by Ao Jyumonji, illustrated by Eiri Shirai, and published by Overlap Bunko in Japan. The series is licensed for digital distribution in English by J-Novel Club and translated by Sean McCann. An anime adaptation was produced by A-1 Pictures and aired in the Winter 2016 season.